If you are still unable to decide if to purchase a Nintendo DSi or DSi XL portable gaming console or a more multifunction iPhone or iPod devices and price point is one of your main consideration factors, here could be a piece of good news that may help you to decide better. Just recently, Nintendo has announced a price slash to both its famous portable DSi and DSi XL gaming consoles starting on September 12 onwards. According to the Japanese gaming console maker, both DSi and DSi XL will be adjusted down by $20 to $150 and $170 respectively. 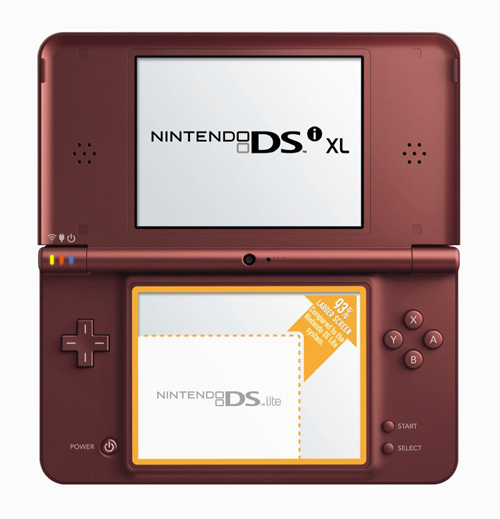 However, the price slash doesn’t include DS Lite which will still remain at $130 as a price and feature differentiation among their product lines. While the reason for price slash seems to be giving way to its upcoming 3DS that is expected to be shipped by end of September, but another concern could be the continuous threat from competitors especially Apple’s iPhone and iPod which impacted its DS sales significantly. As compared to App store with more than 250,000 apps, Nintendo is in disadvantage with merely 1,500 titles for consumers’ selection, besides loosing in hardware specifications. This is definitely a right move and hopefully Nintendo Wii will get the same treatment to compete against Sony PS3 and Microsoft Xbox with more affordable pricing for general public.